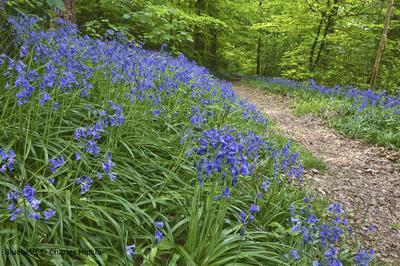 Bluebells can be seen in the spring carpeting the ground in woodlands and fields. Emerging before the trees spread out their leaves allows woodland plants to capture the sunlight reaching the woodland floor. This is why there is often a spectacular display of wildflowers in April and May in the woodlands. For more information see the BBC Bluebell page.